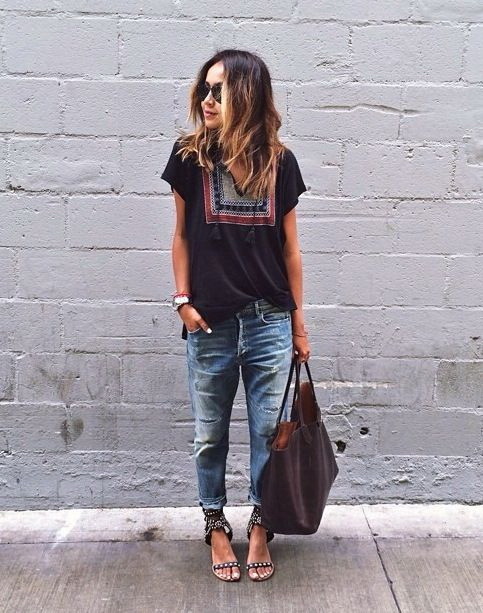 Is there anything more versatile than a t-shirt? 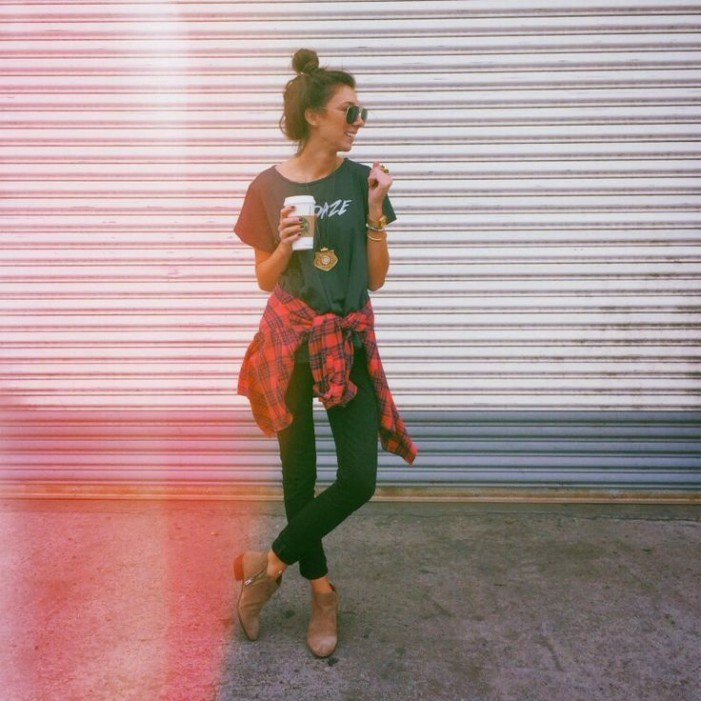 I think you don't need me to tell you that a basic tee is a closet essential. In today's post I decided to share with you an awesome compilation of street style images where ladies appear wearing cool tees and T-shirts combined with their everyday essentials. If you keep on wondering how to wear this top in your everyday life, then yo should know, there is no wrong way to wear it. Personally, I like that special borrowed from the boys appeal that makes your outfit look awesome and original. Even though I own a closet full of cute blouses, tunics and tops, I always find myself reaching for my favorite graphic tee or solid color T-shirt. We see two chics wearing white tops (tee and shirt) paired with black skinnies (the first ones are extremely ripped and the other ones have a leather look). 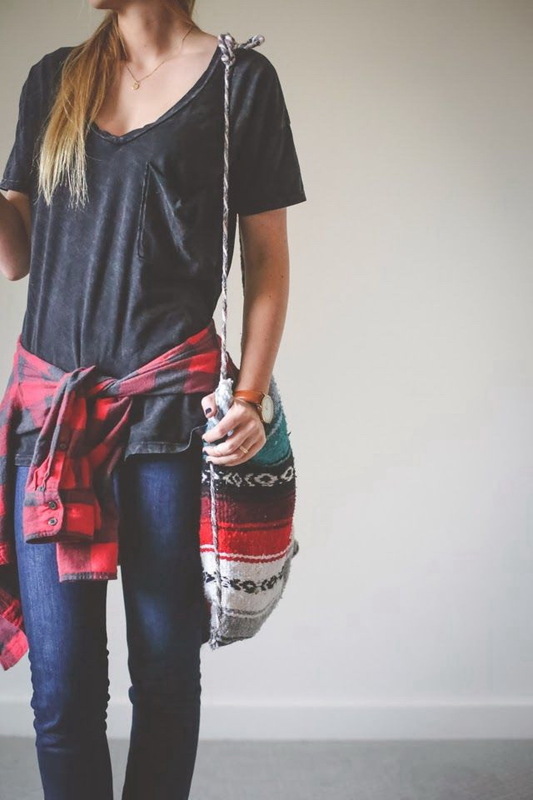 As I have already mentioned, there are plenty ways how to make this basic top look awesome on you. You can pair it with boyfriend jeans, pencil skirts, skinnies, cut-offs, crochet or maxi skirts. In other words saying, this is a perfect base for pretty much any outfit. This basic piece can be used as your workout tee, lazy days alternative, as well as dressy essential. Yes, it can be worn in so many ways from the office to date night. This top can solve almost any event. We all have such days when "I have nothing to wear," that's why the best way is to use your favorite T-shirt as a day savior. There are thousands of great looking tees. I decided to share with you my favorite combos to wear in your everyday life. Let me know your thoughts in the comments below.